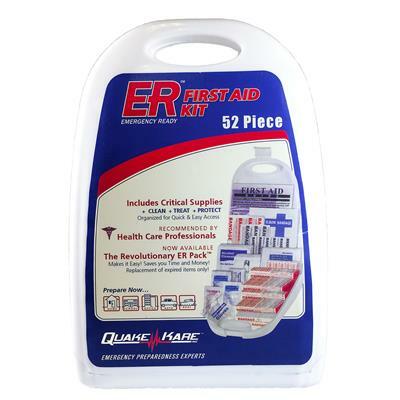 The ER™ Medium Sized First Aid Kit is designed for the home and car for 2-4 people. Packaged in convenient size plastic case that stores anywhere and providing quick access to a variety of emergency first aid supplies. 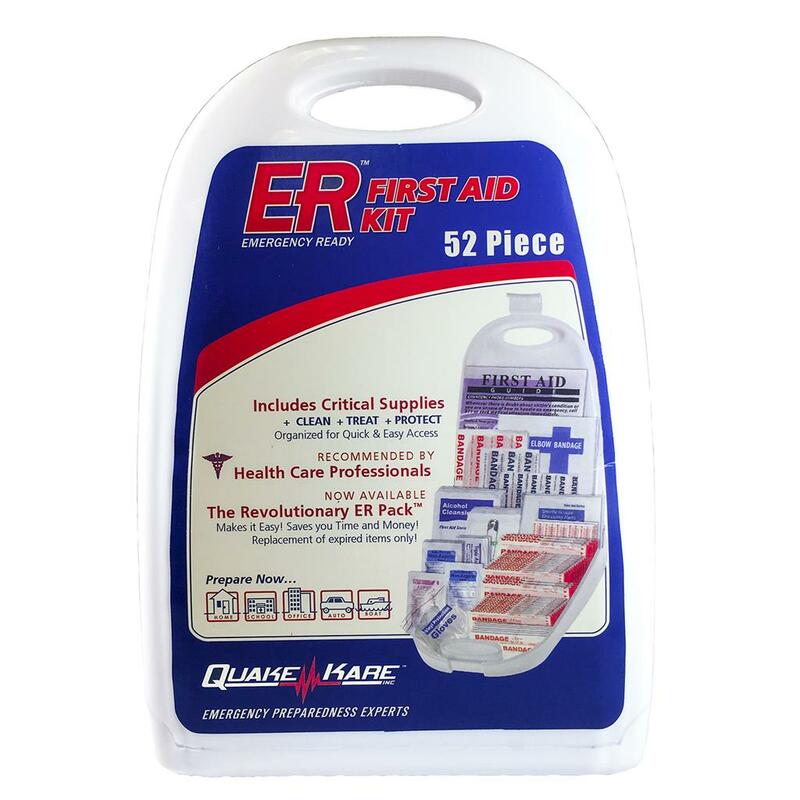 ER™ First Aid Kits are recommended by health care professionals and approved by a Medical Advisory Board.